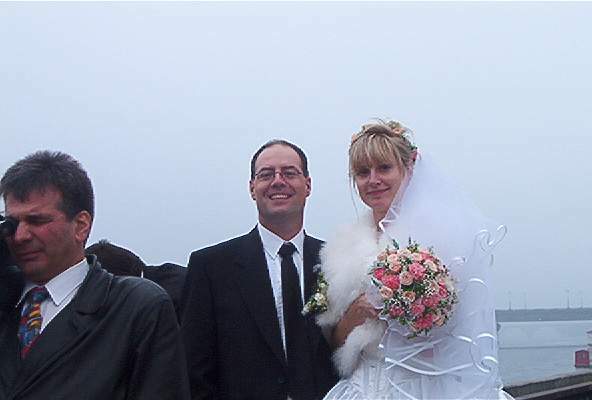 Testimonials published here apply to this site (Bride Online) and our sister company 1st International Marriage Network. I want to also share great news I found the one I have searched for her ID 1000050913 we are happy and starting the long jouney togehter and its wonderful she told me where her family lives and it's same area i grew up as a child here in USA how much of a miracle to find ach other with that link to us. You are all my best friends and without you none of this was possible my heart goes out to you all and thank you deeply and truly. Will you post it for eveyone to see I want to tell whole world. Please cancel my account immediately -- MonteUSA. Thanks to Bride Online, I have found my soul mate on your site! Thanks again. Monte Parsons. Bourbonnais, Illinois. Thanks for your quick response. I deal with AFA and Anastasia a lot but mostly your company. You have always provided the best customer service of anybody. I would also like to say this to all other men looking for a partner on this site: I heard stories about men writing messages forever but never showing any interest in meeting women personally, and I also heard stories about men being totally unrealistic in regard to the age of the partner they are looking for. I can only say this: These are the most wonderful women I have ever met, everyone was lovely, kind, charming and warmhearted in her own special way. Please, treat them with the greatest respect and with dignity, they deserve it! I DID indeed meet a beautiful girl through your great web site from the Northern city of Vologda. We are happily married and crazy in love. In this day and age with the rapid pace of life in the world, meeting and getting to know people can be very difficult. When I finally decided that I had to ‘break out’ of my past dating patterns that had only lead to meaningless relationships, I did something that shocked my family and friends. Not only did I turn to the internet to look for that person that would become my second half, I took the extreme step of looking for someone from a different country. The reasons that I did this were many but the primary one was because I was looking for someone that possessed ‘old fashioned’ values that I felt were lacking in most of the ‘available’ women of my age group here in America. This is not to say that America does not have women with the ‘old fashioned’ values that I was looking for, only that those who did were married and therefore unavailable. So I turned to one of the many countries that I knew had a surplus of beautiful women, a lot of whom did possess these ‘old fashioned’ values. For once in my life I have to say thank you to the old Soviet Union for isolating the many countries that were once members. This isolation has proved to have a time capsule effect on their people. Traveling to and meeting the people of these countries is like traveling back 30 or 40 years in terms of personal values. So, that is the reason that I decided to look in places other then America for my bride. I work with computer systems on a daily basis so I know there are many predatory web sites out there that only want your hard earned money and will give you nothing in return. So I did a great deal of research and the one website/agency that I could find absolutely no complaints about was BrideOnline.ru. The fact that I could not find complaints made Bride Online stand out like a beacon in the murky waters of the internet ocean. I decided to look at the women listed on their website only to quickly realize that their choices are so large (currently over 35,000!!!) that I was going to need help. That help turned out to be the search engine that is provided on their website. It is first rate and quickly helped me find women who met the very specific (age, height, weight, children, etc.) criteria that I entered. Still, the list was very large but now much more manageable. I finally narrowed my list down to 4 women (1 Ukrainian, 2 Russian and 1 Bulgarian) and I purchased their contact information. I decided to use a little good advice from the Bride Online website and some others that I had visited and I had my initial letter translated into Russian (the common language of all the women that I chose). Honestly, I was pleasantly surprised when, within one week, I received 3 replies to my initial letter. I continued to correspond with the 3 women over the next couple of months until I finally narrowed my choice down to one lady in Kiev, Ukraine named Alena. Another piece of advice is to use Bride Online background check service. The money spent is very insignificant compared to the piece of mind that the results will give you. If nothing else you must remember that the jobs in many of these countries do not translate directly into comparable jobs in America. A background check will go far to clarify a great deal of information for you and possibly avoid misunderstandings. 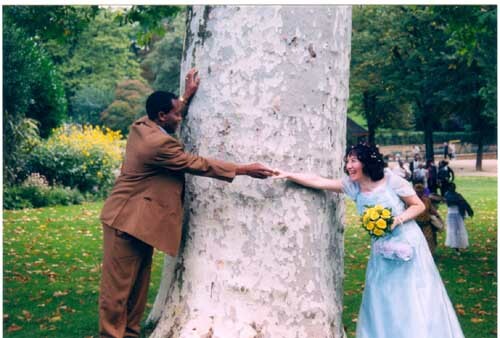 To make a very long story shorter a connection was made, we fell in love and got married. None of our happiness could have happened without the multitude of services that you can find on the Bride Online website. I discovered with the help of some academic friends that I have and some Russian immigrants who live in my area that when I was using their translation services, not only were they translating my words but also what I intended to say. They successfully imparted the complex ideas and the very ‘flavor’ of what I was trying to convey to Alena. This is a very difficult thing to do but they were successful every time. Another service that they provided was that of flower delivery service. The various partner agencies that they used were of the highest caliber, very expedient, professional and meticulous in every detail. They even called Alena in advance to coordinate a suitable delivery time for the flowers. This was an extra step that totally surprised me and shows all the little extras that are provided to Bride Online customers. I sent flowers to Alena on both Valentines Day and on Womens Day. That is another thing that I want to thank Bride Online for if you think American women get upset if you don’t send flowers for Valentines Day just miss sending flowers for Womens Day in the ex-Soviet Union countries and watch the result. Bride Online helped me successfully avoid this cultural mistake! Beginning a relationship with someone you have never met before is a very daunting undertaking. It requires a great deal of patience and understanding by both of the people involved. Love is the universal language but it doesn’t order the correct beverage for your woman in a restaurant. You must be willing to learn at the same time your woman is learning. One other thing that is required – trust. You have to be able to trust the agency that you are using and what they tell you. In my experience Bride Online and the people that staff its offices are worthy of your trust. I am a most skeptical customer regardless of what is being sold and I don’t give my trust or my recommendation easily but Bride Online has them both. One more thing – what is the quality of the women on their website, the services that they offer? My final answer – Alena and I were married on August 28, 2012. Our first child, a boy, is due to arrive on June 27, 2013! I’d say the quality is first rate! Thanks huge to you dear agents brideonline.ru for that you is. ... one year ago today i bought an address from you for $10 for a russian woman who i thought would be perfect for me. well... we got married last week and we are now together in san francisco. Thank you for your great service!!! In 2013 I met a wonderful Russian woman through Bride Online gentlemen profiles service. I visited her in St Petersburg and we fell in love. Later, she moved in with me in Sweden with her daughter. We would never had met without Bride Online. Thank you so much. 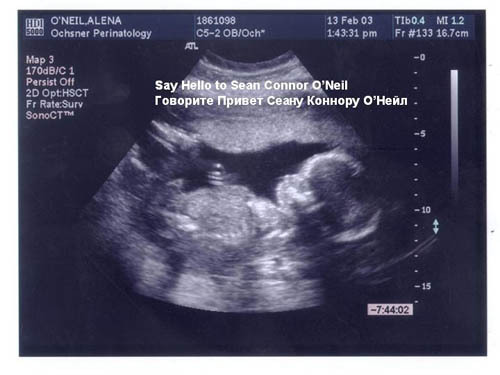 Alena and I agreed some time ago that if it was a girl the name would reflect her Ukrainian-Russian heritage but if it were a boy the name would reflect his Irish heritage… so I want to introduce everyone to Sean Connor O’Neil. A child that will have a very American ethnic background: (in no particular order) Irish – German – American Indian – Ukrainian – Russian! Now that is a mix you will only find in America J! But a very special thanks to Gregory for all his patience and assistance! You and your people are angels. As you requested, here is a very concise letter on my experiences with your agency and my meeting with a belarusian woman. After many heartbreaks and a divorce, I felt I had taken all I could with the culture of the “Modern American Woman.” I had lived in Europe previously and knew that Russian Woman had a different outlook on life. With this in mind, I began my search. I “found” Alena in December of 2011 and ordered her address. I must admit, I was a bit skeptical however; I had nothing to lose so I ordered her address and wrote her a letter. To my surprise, she responded very quickly and positively to my letter and pictures!! That was the beginning of an 8 month letter relationship. On August 2, 2012, I flew to Minsk to meet her. To say that I was nervous would be a huge understatement! I know this sounds silly, even amazes me to this day however, Alena was at the airport to meet me and it was love at first sight for both of us! She even brought her brother, Alexander, with her! I had talked to him several times prior to my arrival. Everything went well, no problems with customs or registering with the local authorities. Alena arranged a wonderful apartment for us and I went on to enjoy Minsk the customs, food, and the wonder and beauty of Alena and the “Modern Russian Woman”. What a breath of fresh air! Needless to say, I brought an engagement ring and proposed. She said yes!! I met all her family, they absolutely loved me and I love them very much! Belarusian people have the biggest hearts and I appreciate their deep sense of sincerity. 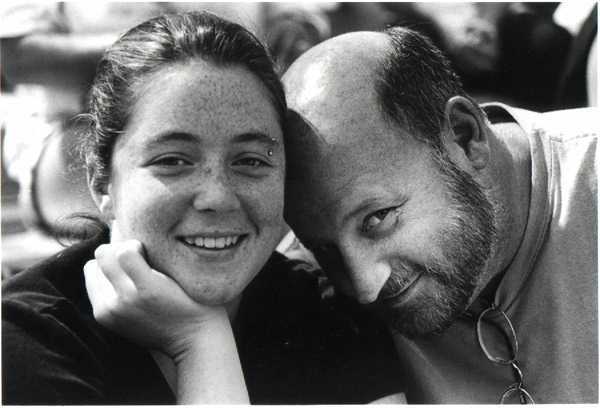 I am enclosing two of my most cherished photos of Alena and I. They were taken on an island called “The Island of Many Tears”; don’t we make a beautiful couple? I cannot thank you and the staff of brideonline.ru enough! Not only did I have the best time of my life however, because of Bride Online and their dedicated and professional staff, I have found love again!! Marriage pictures to follow very soon! Greg, I am sure you will not remember me but about 12 months ago I purchased the email address off your website for a lady in Russia. I just wanted to send you a thank you email to let you know that Natasha and I are now engaged to be married. We will be getting married in Australia in January 2014. we have met face to face on several occasions, the first time in Thailand and the second time when Natasha came to Australia for a month over Christmas and new year this year. Victoria 74345, is married !! We ask that you please remove, her photo and profile from your Website !! I would also be happy to send you our wedding pictures !! I would like to thank you for the efficiency of your site. I had sent my profile on your site. And for some weeks, I met the woman of my life. We married in Paris, 20 days ago! My wife Venera and I let us send all our thanks to your team. The service you provide is absolutely first class at a very good price. The photograph was extremely valuable. I was hoping to meet this lady in Odessa. The photograph showed that it is the same woman that I met on a dating-agency web site. Whether that is a good thing or bad thing is not important. Again, for the modest cost of flower delivery and photograph, your service is almost priceless. Yours sincerely, I wish to remain anonymous. Please do not use my name. Thanks for the test email. You will find below the letter for Tatyana Lukashevich. Please forward it to Greg. By the way, you have the best site on the Internet. I have recommended your agency to several of my friends, and they have all been very satisfied with your high degree of professionalism! Please keep up the good work. > Good Holiday to you folks. You offer a wonderful service. God Bless You, ed jones. I want to take this time to thank you and your staff for the most exceptional service you have given to me. From the onset, I must say that I was a bit leary of the adventure of seeking a Russian Bride, but you have certainly made for me an exceptional journey in my life. Your honest advise from the beginning has proven to be very true. From the consultation of the letter preparation, translation services, visa travel necessities, hotel planning, and certainly your staff in Moscow has been far more than I expected. The careful arrangements of your personnal assistant, Lena, in Moscow, having my interests first above all, has made for a very personnal, exciting, adventureous, and rewarding time in my life. I want to thank her once again for everything. go back feel free to use me as a good reference if anyone wants one yours. JM. I have spent more than $40.00 to send a letter that one of your largest competitors said would take up to 3-weeks and had no guarentee of delivery. I tried Fed Ex, and they wanted $75.00 for 4-day service. I tried another competitor and they send me addresses that were no longer valid, and haven't returned any of my emails. I was beginning to feel "scammed". I tried your site. I noticed was that you gave me the your (CEO) personal number, and when I called it, you answered the phone. That inspired confidence. I noticed that you had increadible advice and help available, including very low cast solutions to contact, like 2 - 5 days for $3 - $4. You deliver gifts reasonably, and have an office or something on Rissia so that you can expidite delivery times and security. You have a very inexpensive way to allow the girl to write back to me quickly at no expense to her. I love this! If all that wasn't enough. you allowed me to post my own site for the girls to see, at NO COST, when your competitors charge over $100. 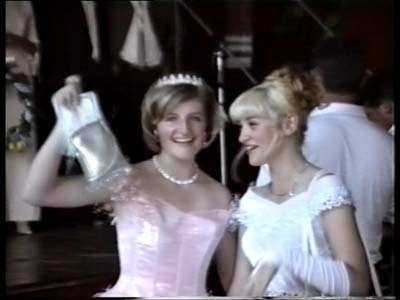 ANd then, it seemed like you had the best looking girls and supplied as much or more info about them as anyone. Your girls are georgeous and your site is fast. I got the addresses I ordered within 5 minuts in my email box. I just want to say thanks. I can communicate with ladies and not go broke. That's not true with your competitors. I spend several days going over sites and have looked at over 10,000 women. Your site shines out above them all by a mile. During the last couple days I've been communicating with your Customer Communication and Security Manager, Gregory Yarmosh. First for information purposes only, and later for a small issue related to my contact order. In both cases I received a very clear and professional customer service from Mr. Yarmosh. In today's business environment, any competitor can offer the same product with the same excellent quality, but the one that makes the difference is the quality of your customer service. I am a businessman my self, so I have a good idea of what it cost to your business, regardless of all you can invest in it, not having a good company representative in contact with the one who will dictate your success: The customer. Thank you for your attention, and allow me to congratulate you too for your excellent site. I am already very pleased with the sense of secure site, excellent information and services from Bride Online. My name is Owen, from England. I have just read your passage reference scammers. Thankfully I was on my guard and didn't fall for anything that you mentioned. I was propositioned for money a few months back by a 29 year old woman wanting money for translation fees, and another wanting money for visa fees. Thankfully I smelled a rat, quizzed them and noticed how they lost interest very quickly. I wasn't too sure at first why or what had happened to them, but I thought they must have lost interest. After coming across your passage, I now know why, and feel quite shocked that people can prey on another human beings feelings like that!!! I wouldn't dream of sending money to some one I'd never met, but I'm sure there are many poor unsuspecting souls out there that do. Hello friends, My name is Liya, am russian Lady and I wanna be your new client. May i spend a few minutes your attention? Thanks! A few hours ago I accidentally found details about your service in Internet. I am inspired, it is so interesting for me. The useful information, style of design, good catalogue pleasant males's faces... Bravo! Professional and qualitative work! Hello Gregory, yes, I found my husband through one of dating web-sites, but not through yours, however. Actually, this happened after 6-7 years of unsuccessful searching ( the reason to become pessimist, isn't it? ). And I was really ready to give up when miracle happened. So, my story could be sure used for encouraging people who feel desperate and disappointed because of one-two matching failures. Internet search is not much easier than searching for partner in real life. Everybody is looking for his/her "one-and-only" and it would be silly to think that you might easily recognize your "Mr/Ms.Right" between thousands people, surfing virtual space in their partner search. So, I would really wish to say everybody: don't give up, continue your search! Yes, it is difficult to find something specific, but while you are looking - you have a hope to find. If you stop - you would lose your last hope. Success is somewhere there, waiting for people who are ready to fight for their happiness. We just have to be patient. And persistent. And never give up! You have a great site. The women on this site are beautiful, and I am sure are nice ladies. I wrote one lady for a year and a half, then made a trip to Vologda, to meet her and her family. She decided to stay with her family, for which I don\'t blame her they are nice people. I just hope to find one who is serious about being happy. Thankyou, for your care. I have spent about the last 2 hours browsing through pictures and profiles and I must say you have compiled an amazing group of some of the most beautiful women I've seen. I have no idea how I would even begin to choose. I just thought you might like some positive feedback. Have a great day, and keep up the great work. Jeff. I wish to express my thans for the great regular e-mail mailouts that come about once a week. Keep up the great work try and send more. Always a good day when I get your E-mail. Thanks Very Much! David from Canada. Dnepropetvorsk, Ukraine. After several months of communicating with her I went to see her in March. Unfortunately, things did not work out for us but I had a great experience seeing another culture and another part of the world. People in Ukraine treated me very very special! They invited me into their homes, cooked special meals for me and showed me a wonderful time. It was truly a great experience for me. Even though things are different in Ukraine then in the US, I went over there with an open mind and had a great time. I want to tell you that your web site and all the information on it is the BEST site on the web to locate women in Russia and Eastern Europe! The web site is very easy to maneuver on. The information you provided me with was also very useful. Thank you very much for your excellent service: very quick and very professional! Have I congradulated you before on your professional attitute and reliability? Well here it is one more time, Thanks Gregory and althe best to you and your loved ones. I think that may be a good idea as the last two orders I made were by credit card and it seems to be the way to go. In the future I will make all my orders via credit card so you can destroy the cheque. Furthermore I would like to thank you for your professionalism in getting back to me. I am sure that I will keep in touch especially when I decide to pay a visit to either Russia or the Ukraine. In the meantime I will correspond with the ladies via mail and when I feel I have a good feeling about a number of them I will fly to their country to meet them. I'm sure this will be the determinant factor in finding the right person. BTW do you have any information on people who have made the journey overseas to meet someone? Is it a simple process? Once again than you for getting back and for providing what I feel is a great service. I have done business with you for about 3 years. Your service is outstanding. You have a first rate company. I have sent several friends to your company. Keep up the outstanding work and say hello to Art for me. Thank you for your article about foreign brides. I was almost taken in buy one of these types of scams. Dating services do not come with warning labels but your article should be posted on every internet dating site. Thank you for your letter, and for your business, I do appreciate your services and thaught I'd take the time to thank you!